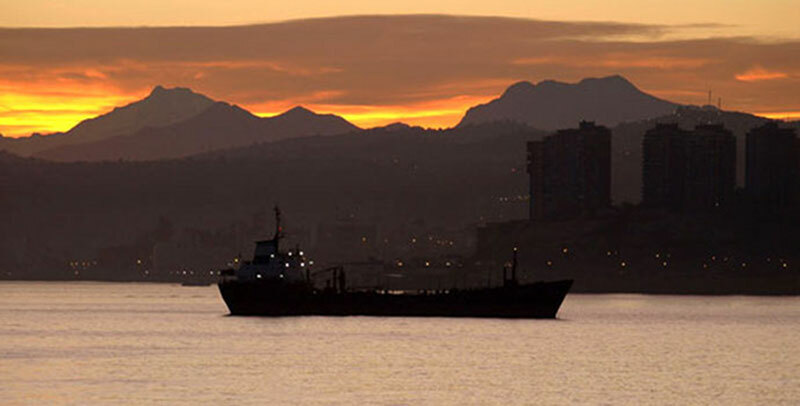 As Gondwana was the parent landmass of South America, I am going to spend a while studying the geology in this blog, then the life forms, in further blogs, which existed until the present day in South Africa and on the separated landmass of South America. This is a brief description of the formation and ongoing earth contortions which continue to create and diminish the land on which life exists. Much of what I’ve picked out is from Wikipedia, but the work of geologists is fascinating and I’m only dipping into what is available to illustrate the landmass similarities between South America and South Africa when what we now call South America split from the supercontinent of Gondwana (named by Austrian scientist Eduard Suess, after the Gondwana region of central India which is taken from the Sanskrit for “forest of the Gonds”). The rocks comprising Patagonia occurred along the southwestern margin of the ancient supercontinent of Gondwana. During a period of continental rifting in the Cambrian period, a portion of Patagonia was separated from Gondwana, and the resulting passive margin that formed was a site of extensive sedimentation throughout the early-middle Paleozoic era. This geologic period of time that lasted from 542 to 488 million years ago was the first period of the Paleozoic era, and is distinguished from the preceding Precambrian by a spectacular increase in the number of living organisms. Subduction-related igneous rocks from beneath the North Patagonian Massif have been dated at 320–330 million years old, indicating that the subduction process initiated in the early Carboniferous. This was relatively short lived (lasting about 20 million years), and initial contact of the two landmasses occurred in the mid-Carboniferous, with broader collision during the early Permian. In the Devonian an island arc named Chaitenia accreted to Patagonia in what is now south-central Chile. Dinosaurs first appeared during the Triassic period, between 243 and 233.23 million years ago, although the exact origin and timing of the evolution of dinosaurs is the subject of active research. They would have developed on many Landmasses deriving from Gondwana. It took until about 180 million years ago, for a mantle plume under southern Gondwana caused bulging of the continental crust in the area that would later become southern Africa. Within 10 – 20 million years rift valleys formed on either side of the central bulge, which became flooded to become the proto-Atlantic and proto-Indian Oceans. The stepped steep walls of these rift valleys formed escarpments that surrounded the newly formed Southern African subcontinent. The Great Escarpment is a major topographical feature in Africa that consists of steep slopes from the high central Southern African plateau downward in the direction of the oceans that surround Southern Africa on three sides. While it lies predominantly within the borders of South Africa, in the east it extends northwards to form the border between Mozambique and Zimbabwe, continuing on beyond the Zambezi River valley to form the Muchinga Escarpment in eastern Zambia. In the west, it continues northwards into Namibia and Angola. 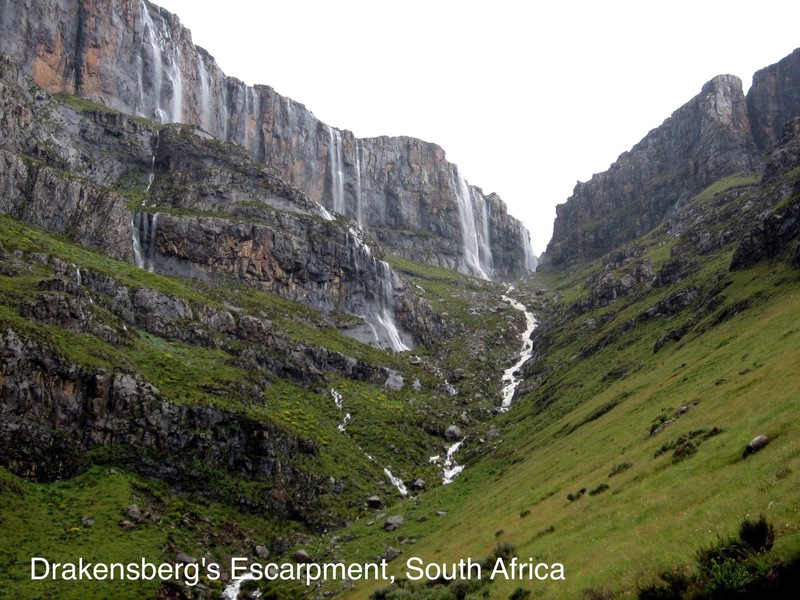 Different names are applied to different stretches of the Great Escarpment, the most well-known section being the Drakensberg. The Schwarzrand and edge of the Khomas Highland in Namibia, as well as the Serra da Chela in Angola, are also well-known names. The San and the Khoikhoi people were the original inhabitants of South Africa, arising out of the Cradle of Humankind. The Cradle of Humankind is a paleoanthropological site about 50 km (31 mi) northwest of Johannesburg, South Africa, in the Gauteng province. Declared a World Heritage site by UNESCO in 1999, the site currently occupies 47,000 hectares (180 sq mi) and contains a complex of limestone caves. The registered name of the site in the list of World Heritage sites is Fossil Hominid Sites of South Africa. 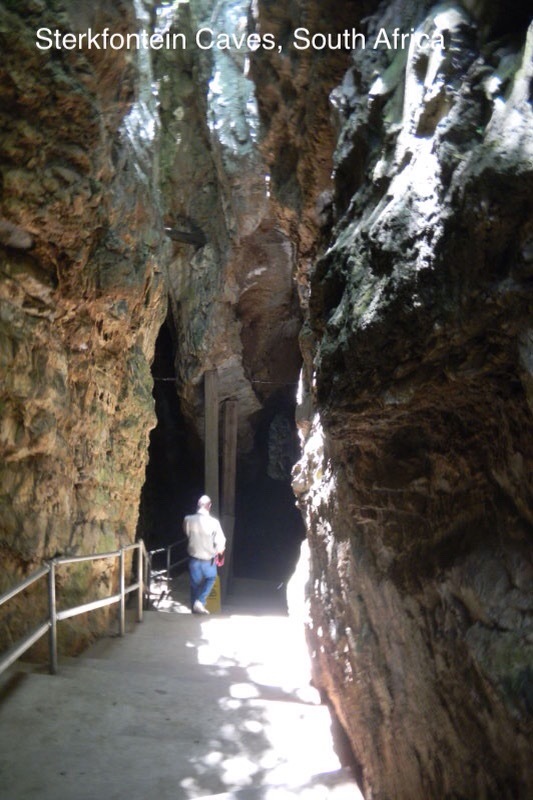 Nearby the site, but not in the site, the Rising Star Cave system contains the Dinaledi Chamber (chamber of stars), in which were discovered fifteen fossil skeletons of an extinct species of hominin, provisionally named Homo naledi. The San people are also known as Bushmen, while the Khoikhoi are often referred to as Hottentots. Even though their cultures differ significantly, together they are called the Khoisan people because of their biological similarities. They are almost extinct today. In 1486 Portuguese explorer Bartolomeu Dias and his crew were the first Europeans to sail around the southern point of the continent of Africa. 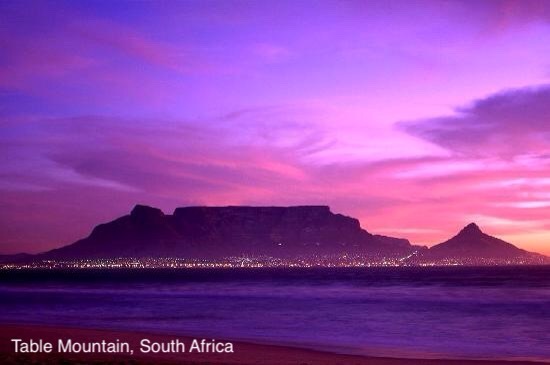 It was often stormy, but when calm sailors could see the impressive Table Mountain. The area he sailed around he called The Cape of Good Hope (“Cabo de Boa Esperanca”). “……shifts in the earth’s plates created many fold mountains – including the Hottentot-Holland range in the Cape Winelands. But the hard granite base of Table Mountain resisted folding and deflected the forces downwards. This produced uplift in a geological process known as istotacy, or ’emerging relief’ and Table Mountain began to rise above sea level. This process probably started about 280 million years ago, and continues to the present day, making Table Mountain one of the oldest mountains in the world (it is six times older than the Himalayas). The Antarctic Plate started to subduct beneath South America 14 million years ago in the Miocene epoch. At first it subducted only in the southernmost tip of Patagonia, meaning that the Chile Triple Junction lay near the Strait of Magellan. As the southern part of the Nazca Plate and the Chile Rise became consumed by subduction the more northerly regions of the Antarctic Plate began to subduct beneath Patagonia so that the Chile Triple Junction lies at present offshore Taitao Peninsula at 46°15′ S.
Spanish explorers and Jesuits that sailed south from Chiloé Archipelago in the 17th and 18th centuries regularly avoided rounding Taitao Peninsula entering instead the Gulf of Penas after a brief land crossing at the isthmus of Ofqui. While atempting to pass Gulf of Penas in 1741 a storm caught HMS Wager making it wreck in Wager Island, Guayaneco Archipelago. One of the survivors, John Byron, ( Vice-Admiral John Byron (8 November 1723 – 10 April 1786) was a British Royal Navy officer and politician. He was known as Foulweather Jack because of his frequent encounters with bad weather at sea). He and other survivors were led into the Spanish settlements of Chiloé Archipelago by a native Chono trough Presidente Ríos Lake. As result of its difficult access and isolation the peninsula is largely unexplored. Tierra del Fuego (/tiˈɛərə dɛl ˈfweɪɡoʊ/, Spanish: [ˈtjera ðel ˈfweɣo]; Spanish for “Land of Fire”) is an archipelago off the southernmost tip of the South American mainland, across the Strait of Magellan. 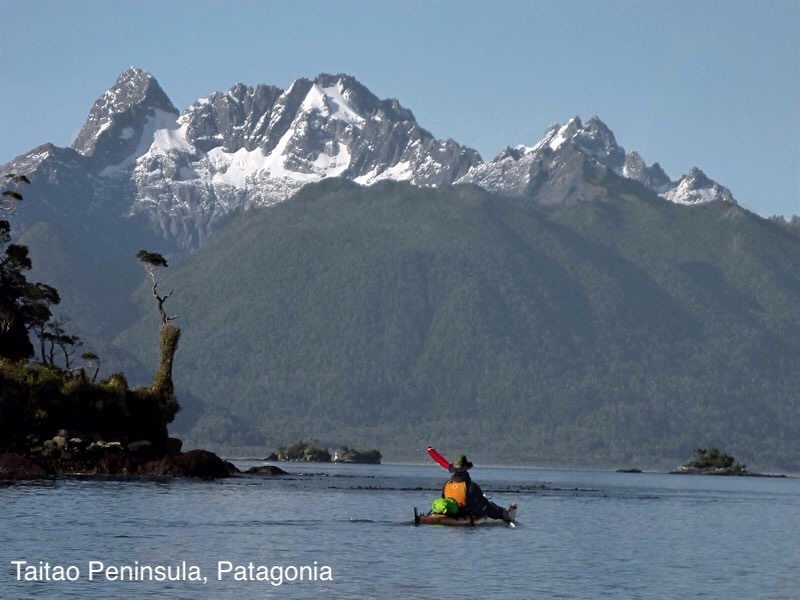 The archipelago consists of the main island, Isla Grande de Tierra del Fuego, with an area of 48,100 km2 (18,572 sq mi), and a group of many islands, including Cape Horn and Diego Ramírez Islands. Tierra del Fuego is divided between Chile and Argentina, with the latter controlling the eastern half of the main island and the former the western half plus the islands south of Beagle Channel. The southernmost extent of the archipelago is at about latitude 55 S.
The earliest known human settlement in Tierra del Fuego dates to around 8,000 BCE. 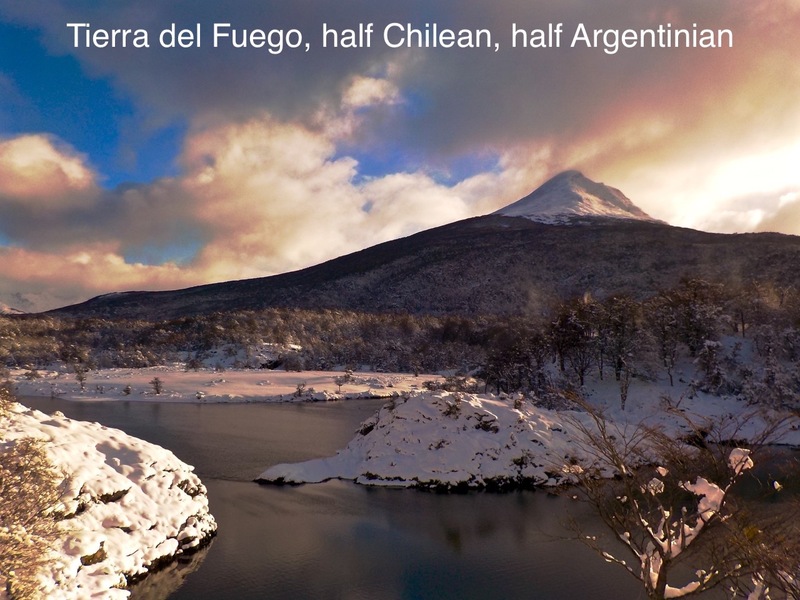 Europeans first explored the islands during Ferdinand Magellan’s expedition of 1520; Tierra del Fuego and similar namings stem from sightings of the many bonfires that the natives built. Settlement by those of European descent and the great displacement of the native populations did not begin until the second half of the 19th century, at the height of the Patagonian sheep farming boom and of the local gold rush. 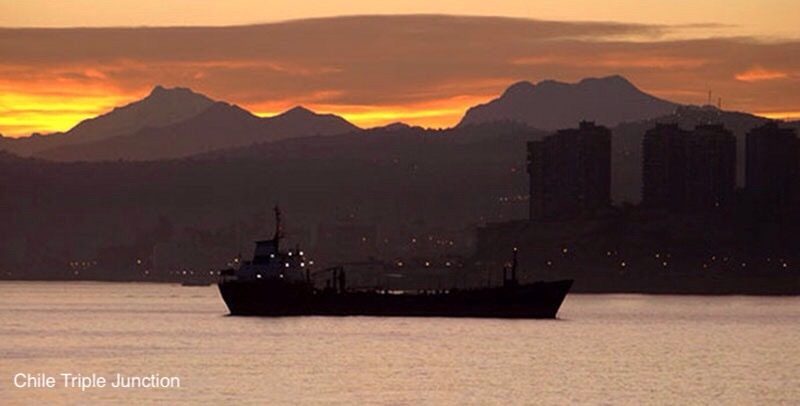 Today, petroleum extraction dominates economic activity in the north of Tierra del Fuego, while tourism, manufacturing, and Antarctic logistics are important in the south. Cape Horn was discovered and first rounded in 1616 by the Dutchman Willem Schouten, who named Kaap Hoorn after the city of Hoorn in the Netherlands. 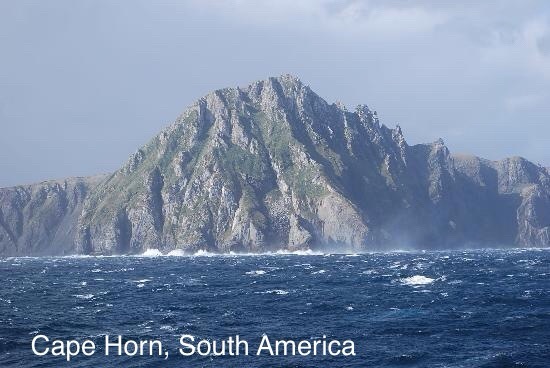 For decades, Cape Horn was a major milestone on the clipper route, by which sailing ships carried trade around the world. The waters around Cape Horn are particularly hazardous, owing to strong winds, large waves, strong currents and icebergs; these dangers have made it notorious as a sailors’ graveyard. It is our human interaction with Landmasses which has created the diversity of human life. It is as nothing compared to the diversity of all life on Earth since time began. We are only just beginning to understand something of this phenomenal world within the vast universe. We must continue to respect all life as we explore and scrape the surface of our understanding. It is wonderful to me that humans have created the vast wealth of knowledge made available to us via the Internet. Despite fake news abounding on daily events, there are still areas of knowledge we can pursue to fill us with exhilation and make us glad to be alive! This entry was posted in Uncategorized and tagged Argentina, Chile, cradle of humankind, exploration. geology, gondwana, Patagonia, South Africa, South America, tectonic plates. Bookmark the permalink.